I have a testimony to share: A famous Christian saying and a verse from the Psalms gloriously collided in my experience this week. 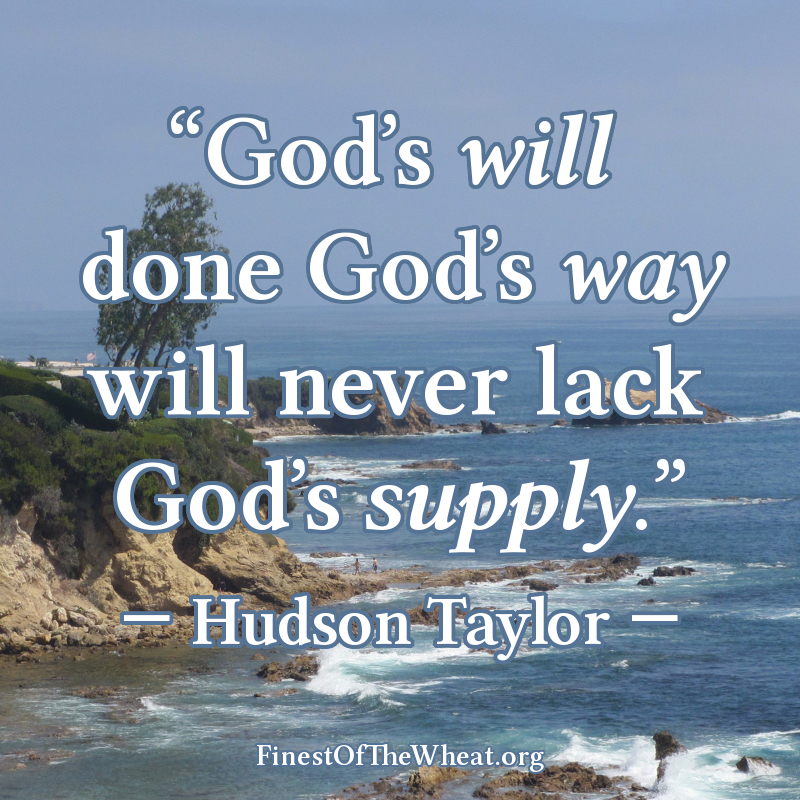 That great man of God Hudson Taylor, pioneer missionary to China, a man who knew how to trust in God for his provision, made this declaration: “God's will, done God's way, will never lack God's supply.” My heavenly Father, the One who owns “the cattle upon a thousand hills” (Psalm 50:10), reminded me just the other day that He is in a lot of other businesses beside the cattle industry, including car-repair shops. As many of you know, I'm off for another missions/teaching trip, this time for four weeks in eastern Europe. For three weeks I'll be based out of Apa Vie Ministries in Pestere, Romania, hosted by missionaries Roy and Melania Olsen, teaching at pastors' conferences (starting the day after I arrive), churches, and (if experience serves) at a Baptist Bible school. Then I'll be off to visit some new friends of the ministry, both in Budapest, Hungary and Berlin, Germany. I'd have to double-check with our treasurer, but this may be one of the more expensive trips I've mounted to date, mainly due to the addition of the intra-European rail travel during the last week. I prayed a lot about whether or not to add that fourth, intra-European week; but it seemed like “the Spirit bade me go… nothing doubting” (Acts 11:12 KJV), so I booked the train tickets. But did I stretch our finances a little too thin in doing so? Sometimes getting ready for a trip is harder than actually going. There are two task lists, both of which seem to challenge me by growing twice as fast as I can check items off. One list is “Stuff to Do for the Trip”; the other is “Stuff to Do Here Before I Leave.” On the latter list, I've had to take both our cars in this month for the mandatory Virginia State inspection. Years ago, Dr. Joe DeLong, a long-time Christian friend, recommended to me Westview Auto Service, barely a mile west of the Regent University / Christian Broadcasting Network / Founders' Inn campus on Indian River Road in Virginia Beach. It's a Christian-owned firm, and had Joe not pointed it out to me, I might not have found it, since it has no web presence. 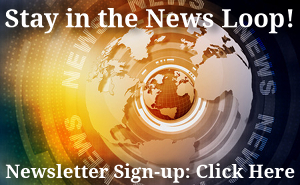 They rely mainly on word-of-mouth advertising. 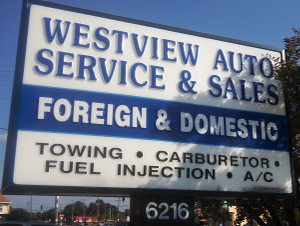 Manager Kenny Oakey and the folks at Westview have always dealt honestly and fairly with me, and anything they haven't fixed right the first time (which has been very rare), they make right ASAP. The fact that it's usually difficult to find a parking space on their premises is a testimony to their customers' loyalty and to their word-of-mouth network. I was only at Westview for twenty minutes this past Tuesday because there was hardly any wait time for inspections and Denise's car passed right away (my checkbook breathed a sigh of relief! ), except for wiper blades, which was easily replaced. But during those few minutes, owner Van Pardue engaged me in conversation — about where I was going on my missions trip, what I do overseas, when and how I got saved, and something about our small house-church fellowship. “All done!” Van's mechanic announced, and Van said, “Let me walk you to your car.” As I was climbing aboard, Van stopped me, explaining that he (meaning Westview) felt led to support our ministry. Could I come by the next day to pick up a check? You bet. How much was the check for? Well, that falls into territory of “don't let your left hand know what your right hand is doing” (Matthew 6:3). The Spanish phrase “Eso es cosa mia” comes to mind (literally, “That's my thing,” but also a polite way of saying, “That's not really your business, is it?”). But suffice it to say it more than covered those train tickets, and probably my non-travel expenses in Romania, too. 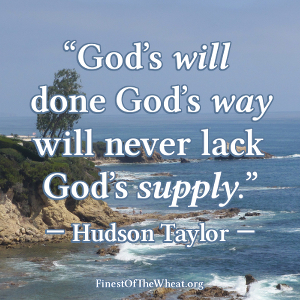 Brother Hudson Taylor was right, and it's as if the Lord Himself said, “It's in My will and My way, so here's My supply.” Thank you, Father! But it's not the amount that amazes me; rather, it's the lesson I learned because of the means God chose to use. The Lord can use any of His children to aid in Kingdom work. Did a particular time of ministry succeed exceedingly well? Perhaps it was due to the prayers of someone I don't even know. Is there a financial need to be met? I shouldn't assume that I know how Father will provide! Yes, he owns the cattle on a thousand hills; but He also has at least one car-repair shop where the owner is very Kingdom-focused!